Being vegetarian has limited the types of food we can eat. This is not a complaint, and we are definitely going to continue being vegetarian, but lets be honest, there are some foods we miss because no one makes a good vegetarian substitute. 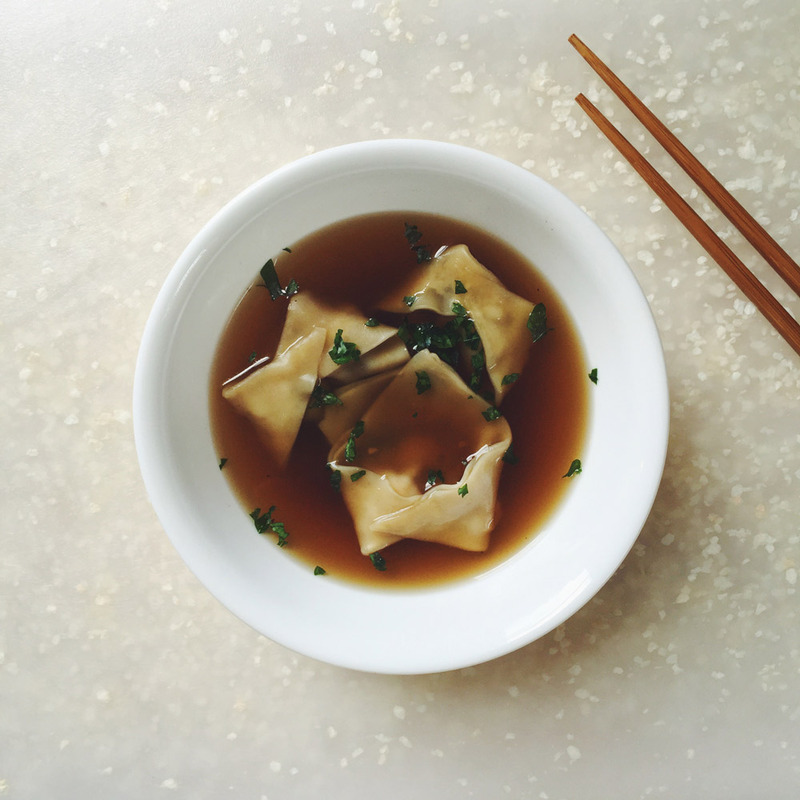 So we put an end to this today and made our own vegetarian version of wonton soup and dare we say… it’s way better than anything you’ve had in a restaurant! The broth is made from scratch, which is extremely important but also super easy! You’ll be surprised at the depth of flavor in this simple soup. You can stuff the wontons with your favorite combination of veggies, that’s what makes this recipe so great. 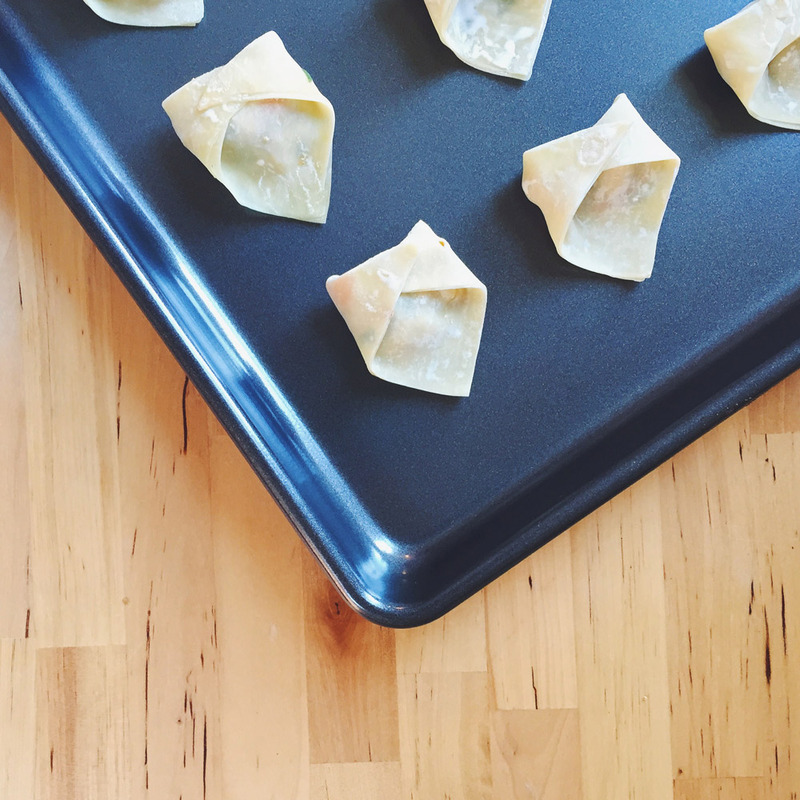 You can double the filling and freeze leftover wontons for a rainy day or pan fry them in olive oil and serve as an appetizer! 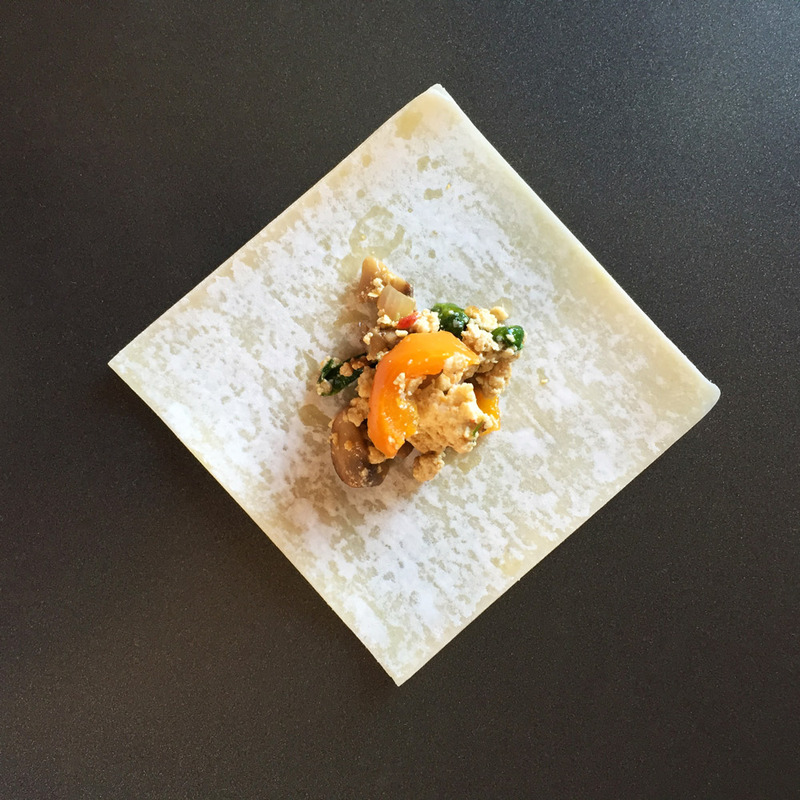 Be sure and let us know your favorite wonton fillings. Combine the vegetable broth, mushroom stems, ginger and soy sauce in a medium pot and bring to a boil. Reduce heat and simmer for 30 minutes. Remove the ginger and add the nori for two minutes then remove. Continue to simmer the broth for an additional 30 minutes. While the broth is simmering prepare the filling. Sauté the mushrooms, tofu, shallot and peppers individually; they should be tender but not overly cooked. Combine the sautéed vegetables in a large bowl with the remaining ingredients. Prepare your assembly station with the wonton wrappers, filling and a small bowl of water. Place a wrapper in front of you with the corners facing you, like a diamond. Place ¾ teaspoon of the filling in the middle and wet the edges of the wrapper. Fold over to create a triangle. Bring the sides together and secure with more water. Set aside. Add the filled wontons to the broth and cook for five minutes with a light boil. Serve immediately. Dust any remaining wontons with flour and store in the fridge up to three days.